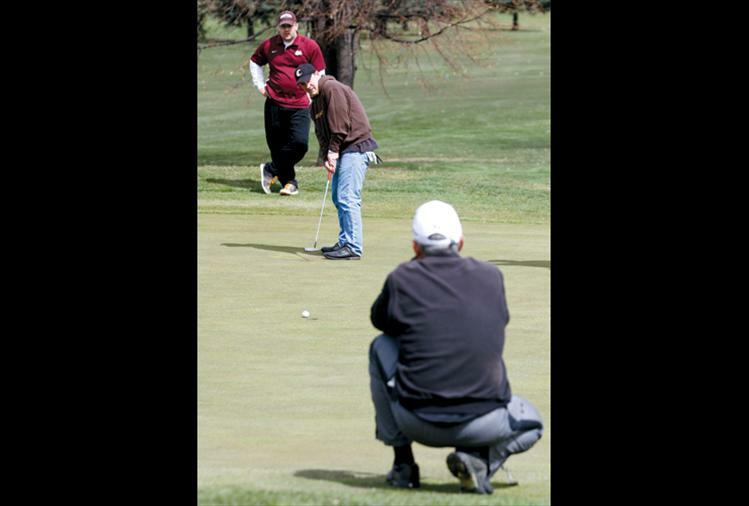 Members of “Tie Dye Muscle,” one of 20 teams in Saturday’s CASA fundraising golf tourney in Polson, watch as teammate Aaron Auclaire of Kalispell takes a swing. 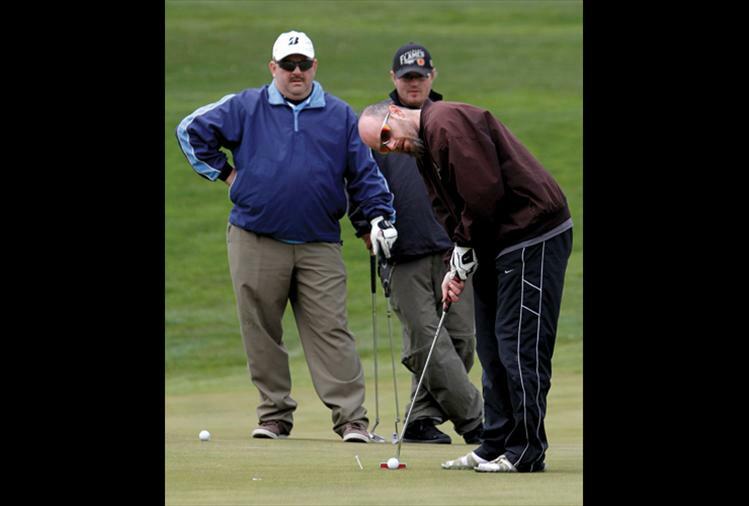 Entry fees, donations and the proceeds of a silent auction support Court Appointed Special Advocates for Children in Lake County. 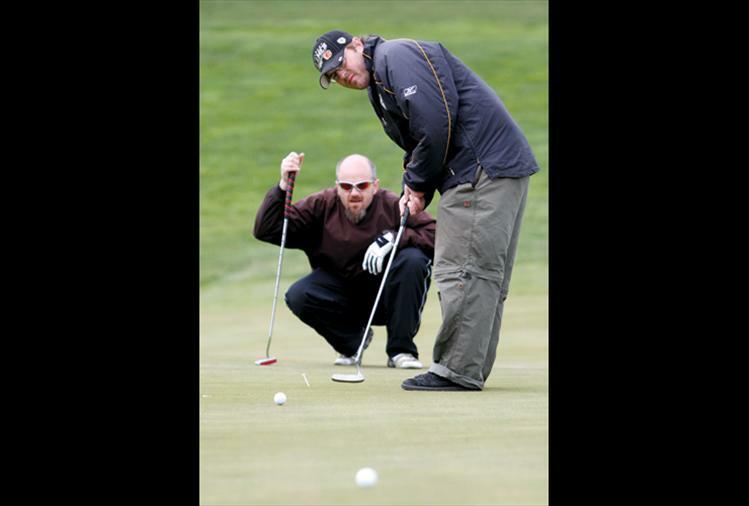 The tourney also offered an auction where players could bid on local celebrities to join their team. 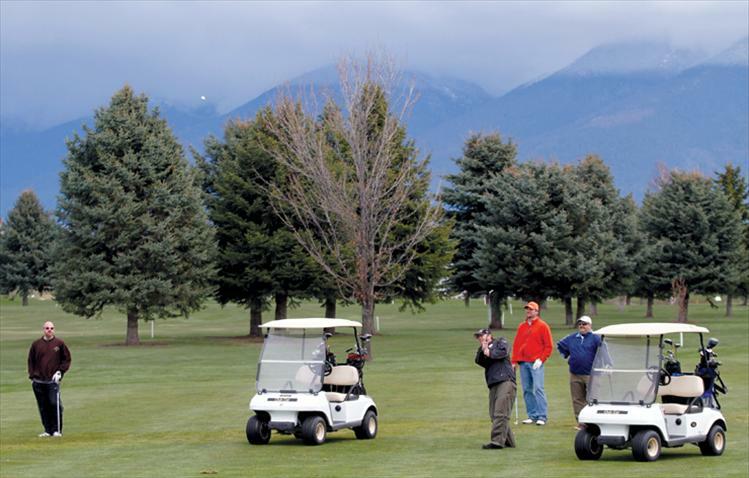 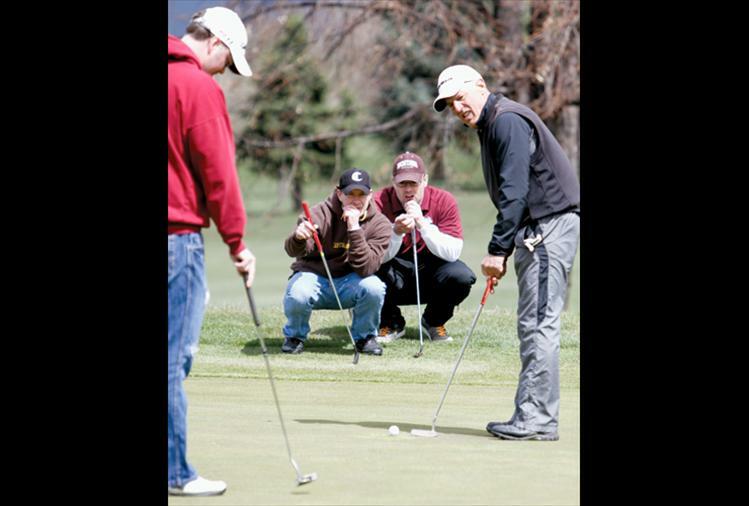 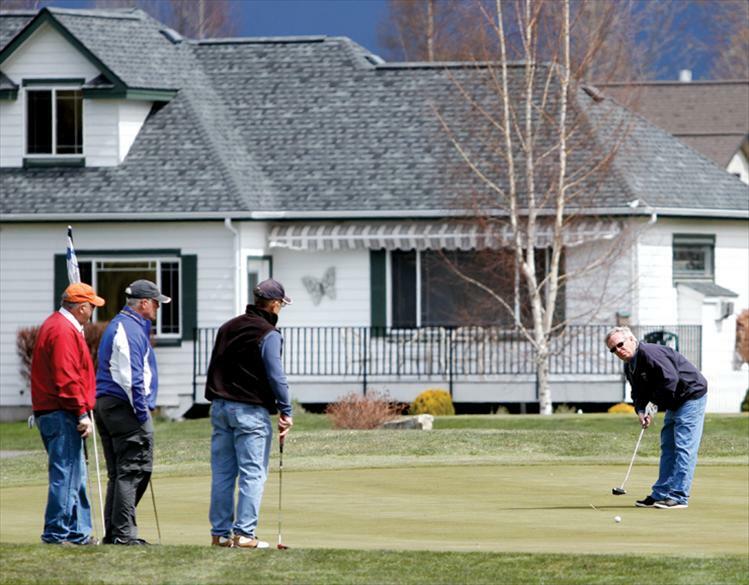 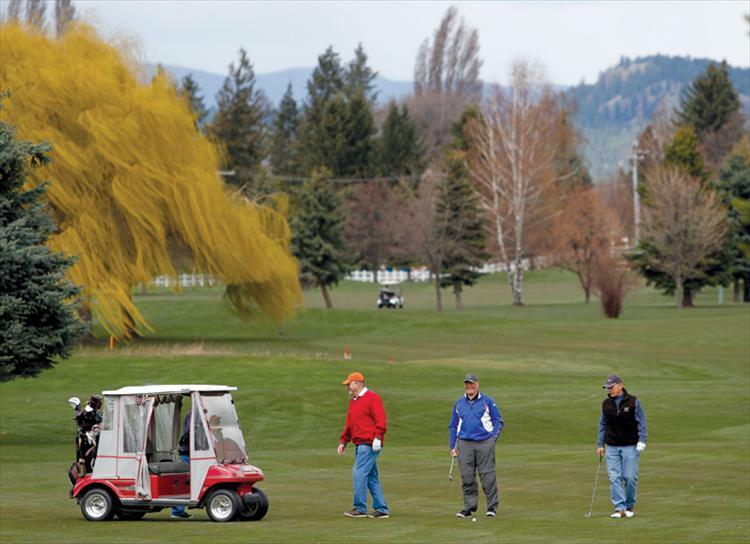 Chad Komlofske of Polson watches his putt roll in as Billy Fisher of Missoula and Ron Fricker of Polson look on.